The director of the Federal Bureau of Investigation has conceded it was a mistake to ask San Bernadino County to reset the password of an iCloud account that had been used by gunman Syed Farook. Changing the password to the account prevented the phone from making a backup to an iCloud account, which Apple could have accessed without bypassing the encryption and security settings on the phone. 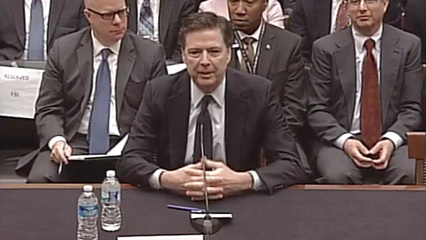 "As I understand it from the experts, there was a mistake made in that 24 hours after the attack where the county, at the FBI’s request, took steps that made it impossible later to cause the phone to backup again to the iCloud," James Comey told the House Committee on the Judiciary in Washington, D.C., on Tuesday. But, Comey said the issue would still have ended where it is today because the iCloud backup would not have provided the bureau with all of the information from the smartphone.